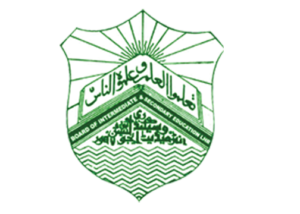 BISE Lahore Board 12th Class Inter Result 2017 Board of Intermediate and Secondary Education (BISE) Lahore has announced Inter Part 2 Result 2017. BISE Lahore Board HSSC 2nd Year 12th Class Inter Part 2 Result 2017 Check Online by Roll No. NUMS Entry Test NTS Result 2017 Result of National University of Medical Sciences (NUMS) (Entry Test/Admissions 2017). Test Held on: Sunday, 27th August 2017. 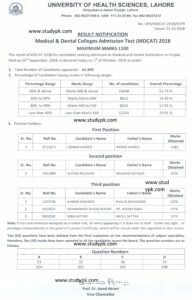 University of Health Sciences (UHS) has Announced MCAT Entry Test Answer Key Result 2017-2018. MCAT Required For Admission To Government Medical & Dental Colleges in Punjab Province of Pakistan.